Contemporary, fresh, and affordable, this anthology offers the stylistic and thematic range students need and the pedagogical apparatus instructors want in short story courses. Designed for introduction to fiction and fiction-writing courses, 30/30 is part of Longmans Penguin Academics series of portable, value-priced texts. This anthology offers an array of fiction that not only teaches craft, but also provides a context in which to study formal and thematic trends of the past 30 years. 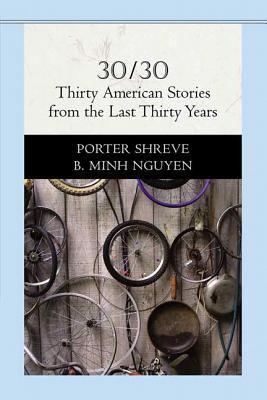 The stories are represented by a mix of well-established authors and newer voices, offering a stylistic range, from the traditional narrative to experimental forms, and thematic range as well, with stories that address issues including family and culture, love and loss, ethnicity and gender.Nguyen, B. Minh is the author of '30/30 Thirty American Stories From The Last Thirty Years', published 2005 under ISBN 9780321338983 and ISBN 0321338987.